With news of Mr Croft's amazing Hawthorn/Apple tree bearing fruit in terms of attracting winter Thrushes with even a flock of Waxwings briefly stopping to see what all the fuss was about - I ditched my planned run this morning (the footpaths were far too icy was my excuse) and headed over to Wanstead Flats to take a look at this new mock orchard for myself. 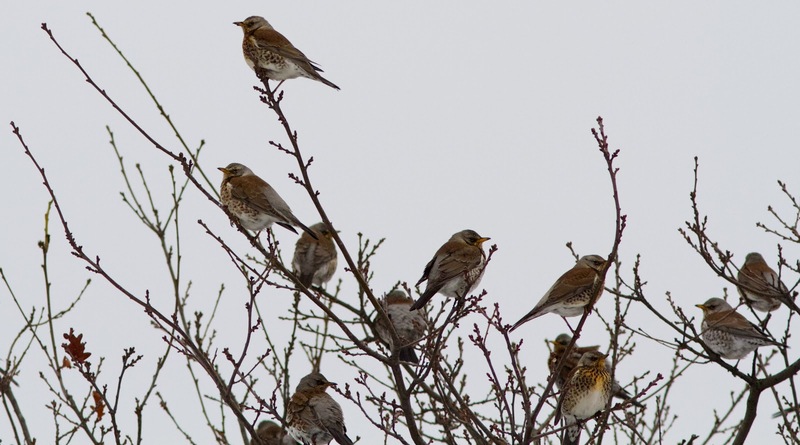 As I crashed through the snow covered SSSI area in wellies, stomping through the undergrowth in hope of flushing a Woodcock or even a Jack Snipe, I could hear a familiar harsh chattering sound overhead as a large number of Fieldfares circled the area and landed in a clearing on the ground - it shows how often I've been to the Flats this year as these birds were the first I'd seen here (pathetic patch tick number 55). 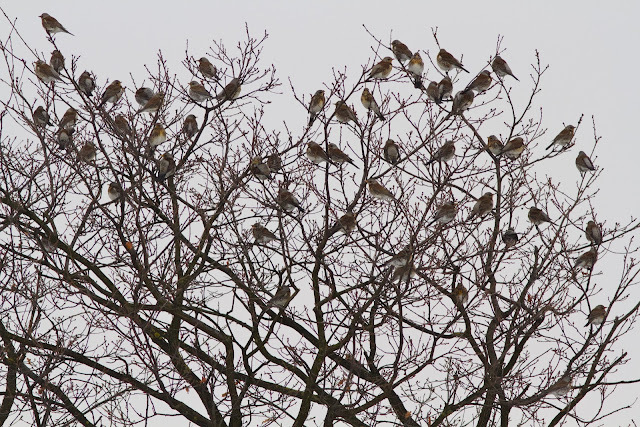 Despite my best stalking efforts they were far too flighty to get close to on the ground, but as a flock they were hugely impressive, especially when flushed by the predictable dog walker up into a tree, with over sixty birds all grouped together. 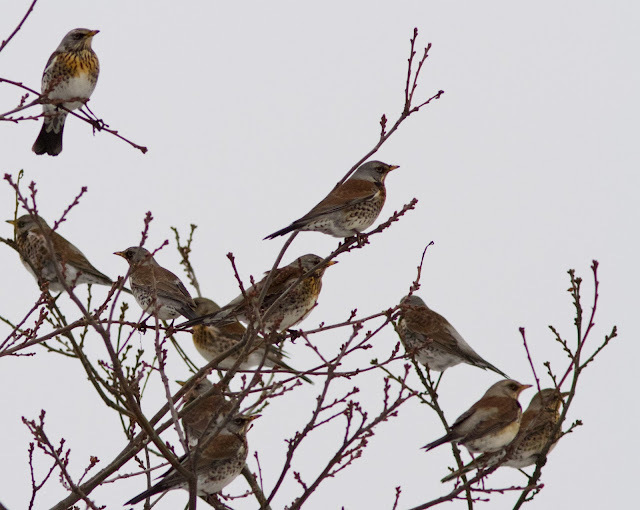 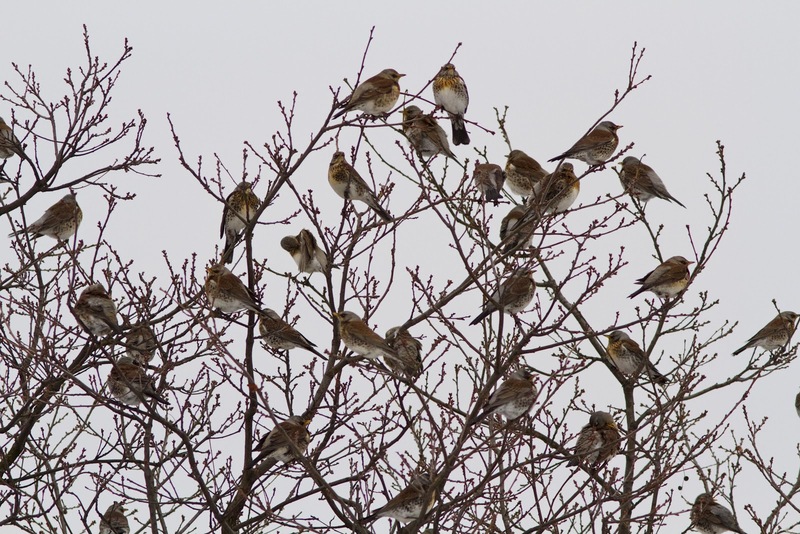 I did eventually get to see the mock orchard but with only two Fieldfares enjoying the apples, I was, as you might expect a little disappointed - unless of course the big single flock from the SSSI can find their way there!